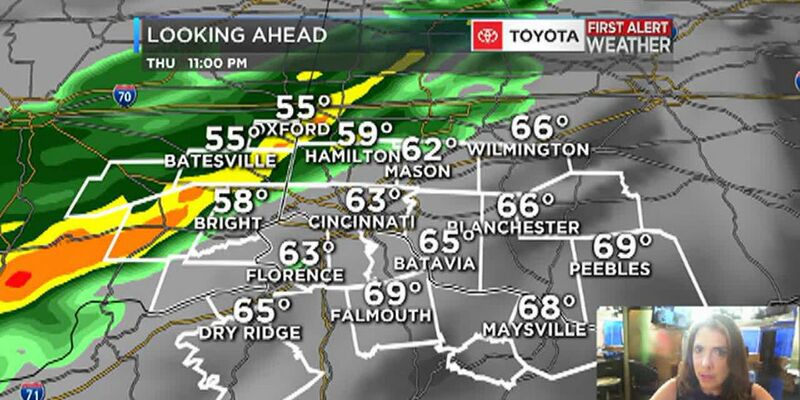 CINCINNATI, OH (FOX19) -Overnight tonight expect some patchy drizzle or light rain with temperatures steady in the midto upper 50s in advance of a cold front that will move through late tonight into early Monday. 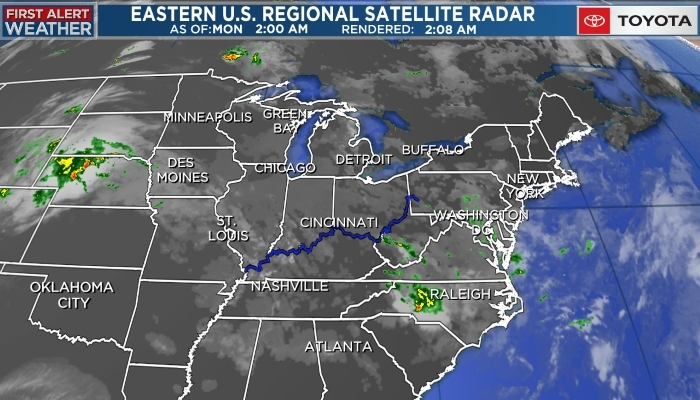 Behind this weak cold front we will see a few showers into Monday afternoon. By evening temperatures will have slid into the low 50s under decreasing cloudiness. As skies become partly cloudy Monday night into Tuesday expect some patchy frost on Tuesday morning with temps in the low to mid 30s. Sunshine returns Tuesday and will help push afternoon highs into the mid 50s. As high pressure continues to build in for Wednesday and Thursday, afternoon high temps will see mid 50s under mainly sunny skies.